Setting Bridged Mode- part 2. 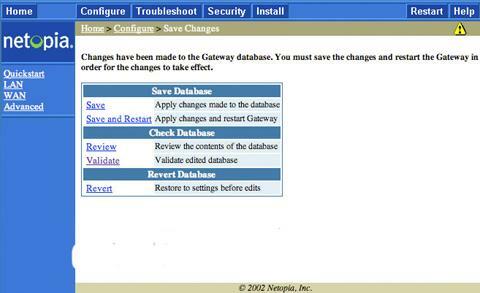 If you have not already gone through the first steps in setting your Netopia to Bridge Mode see page 1. 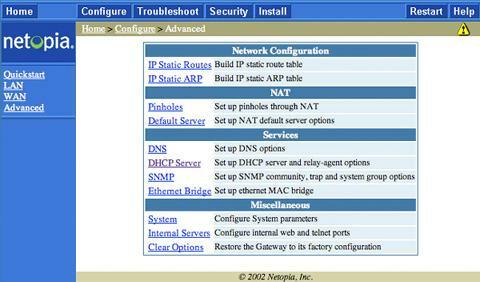 Next navigate back to Configure at the top of the screen, then click on Advanced. Place a Check into the box next to Enable Bridging on Port and then click Submit. You may then be prompted with a confirmation screen at which you will confirm the action. 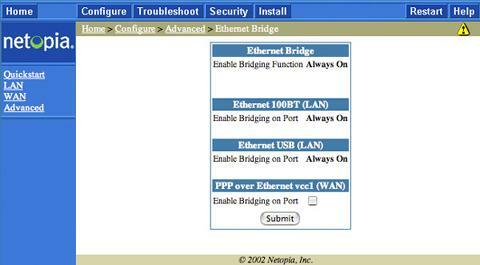 Click on PPP over Ethernet vcc1 under the WAN IP Interface. Remove the Check Mark from the Enable Interface screen and then click on Submit. 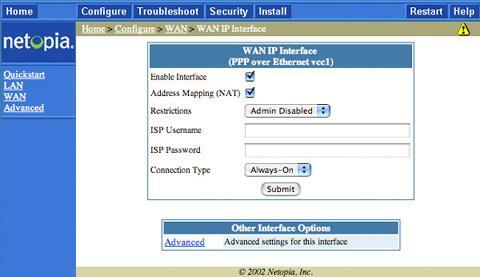 Next Click on WAN once again and then remove the Check Mark from the box for Enable Gateway Option. Then click on Submit. Click on Configure again and then click on the Yellow Triangle with the exclamation point at the top right of the screen. The Netopia should now be Bridged. Next you will probably want to configure your Router to use PPPoE.